Nima Elbagir joins CNN as a London-based international correspondent, it was announced today by Parisa Khosravi, senior vice president of international newsgathering for CNN Worldwide. “I am proud to announce the appointment of Nima Elbagir as an International Correspondent, based in London. An award-winning journalist, Nima has been freelancing for us in the past year and covered a number of top stories including Afghanistan, the violence against women in Congo, and the referendum in Sudan. Nima was born in Sudan and speaks fluent Arabic; from her base in London she will also be traveling and reporting from Africa and the Mideast. Nima’s experience, personal knowledge and background further strengthen our newsgathering team worldwide, as we continue our commitment to Content Ownership Strategy. Read Nima Elbagir’s biography here. 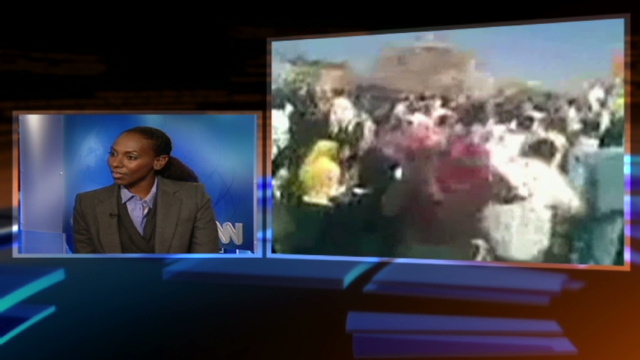 Watch Nima Elbagir discuss the regional effects of the unrest in Egypt and Tunisia here.